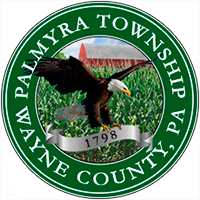 Welcome to the Palmyra Township - Wayne County website where current residents and potential new residents can find important information about our township. Our website will feature information on our municipal government operations, meetings and other community services. Our mission is to provide for and promote the general health, safety and welfare of township residents and employees and to create an environment focused on building for the future. The Planning Commisssion is seeking new members. Help your community grow . . .
Connect with the Township, Officers or Departments.